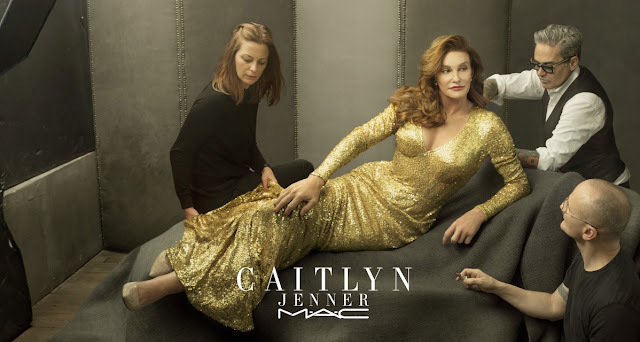 Caitlyn Jenner has been unveiled as the new face of MAC Cosmetics, in a landmark deal that makes her the first transgender star to land a big mainstream beauty contract. The company announced Friday that Jenner, 66, has signed on as their newest celebrity endorsement, following in the footsteps of Lady Gaga, Rihanna, Nicki Minaj and Fergie. Beauty insiders said the deal is thought to be worth at least seven figures, and will see the cosmetics company, owned by Estée Lauder, become more involved in transgender issues and causes. Caitlyn had first been a spokesperson as the face of Wheaties during Bruce Jenner’s days as an Olympian. Thanks to Cheri Izzo for the heads up on this. Rhonda, actually Andreja Pejić has been the spokeswoman and model for Make Up For Ever for almost a year. It is not the same size company as MAC since it is more of a professional makeup company than MAC is.